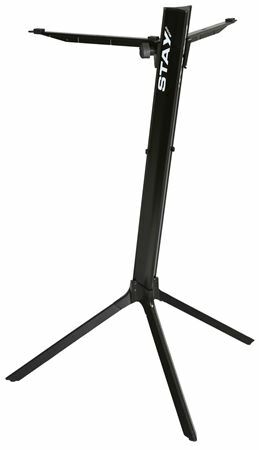 Shop Stay Music Slim Model Single Tier Keyboard Stand with Bag from AMS with 0% Interest Payment Plans and Free Shipping. 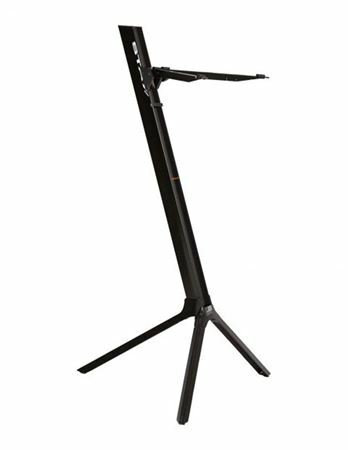 Stylish and strong, the STAY Music Keyboard stand Slim Model is the cutting edge in keyboard stand design. Made of all aluminum, the stand is incredibly strong, able to withstand 44 lbs of weight and support a keyboard with up to 61. The assembly comes with 1 straight base, and 1 pair of 15 inch straight arms. 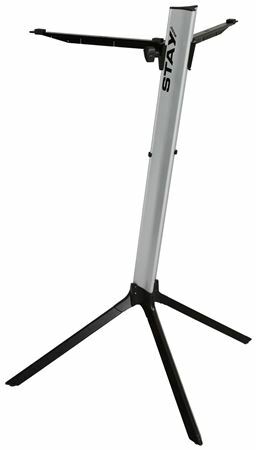 Not only is the STAY Music stand robust, but it is incredibly sleek looking as well! Man i searched and searched for a stand that would fit in a flight case with my board to take on tour of hawaii. With multiple islands that means multiple flights! I am so glad i found this one! FYI the stand fits in about a 5"x5" spot. The leg pieces are separate. I couldn't find that info anywhere so its good to know.